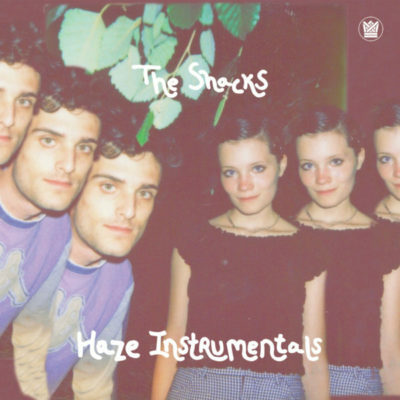 Big Crown Records is proud to present the next single from The Shacks instant classic debut album Haze. 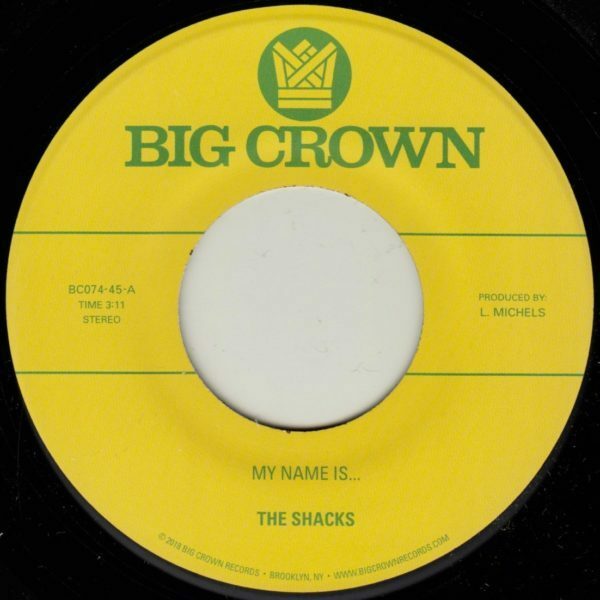 The A side “My Name Is…” is one of the first songs The Shacks wrote shortly after they met. Producer Leon Michels had the track and the title for it and sent it on to The Shacks to pen the lyrics. 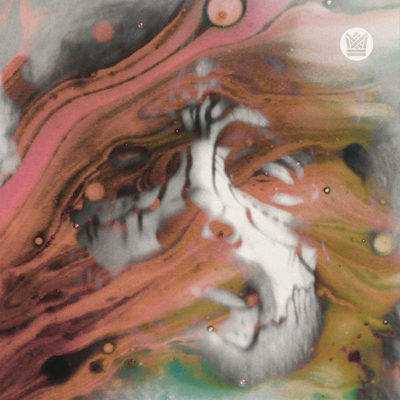 Max Shrager says of writing the lyrics “this song is about setting a time and place to meet up, wandering around like ghosts until we spotted each other in a crowd of strangers. It is inspired by “I Only Have Eyes For You” by The Flamingos”. Musically, it has the infectious attraction that all of El Michels productions do. A poppy melody balanced out by the rough and tough rhythm section made this the perfect match for Shannon’s subtle and sweet vocals. The B side, “Sand Song” is a beautiful tune about an ugly subject; global warming. The hauntingly beautiful guitar melody that the Shrager produced track begins with is met with the equally somber vocals from Shannon. 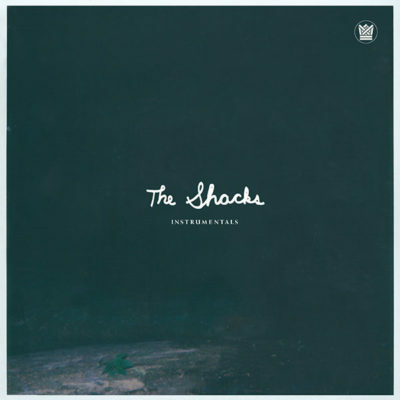 Reverb drenched background vocals and organ flourishes follow suit with the arrangement showcasing The Shacks razor sharp musicianship. 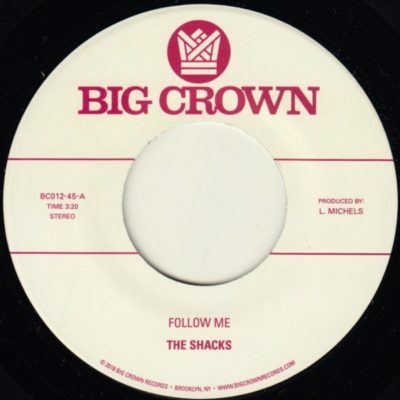 A stand out tune from the album and the embodiment of what made iD magazine call The Shacks “classic American sounds…simultaneously recalling Sesame Street and David Lynch’s nocturnal crooners”.